Today has been quiet, I was able to make a couple cards this morning before I started my chores. My sister is visiting from SC; her bedroom is my "photo" room, so you'll have to be content to see these photographed on my (very) messy craft table. Nothing special, just playing with a few new things.....we visited my dad yesterday, and as we were traveling, I was able to put together my new SU stamp sets, and of course, we know how itchy we get to play with them! The first one uses Love You Much and the new SU organdy ribbon--it is not like the old ribbon! It has a satin center, and is much heavier and sturdier--really, really nice! This is such a pretty image, and stamped over top of the filigree element, I just love it even more. These were really quick cards, as I needed to get them in the mail TODAY....I always do things under pressure, it seems, so there aren't many layers or embellishments. Both cards used DP from either Prints or Patterns, can't remember which! The image above was stamped in Stazon black and colored with a blender pen and ink. TFL! On a personal note: I am having a pity party this afternoon. I always have a short haircut, but today I tried a new hairdresser--went in armed with a cute photo---and came out BUTCHERED. I think my DH has more hair than I do. Honestly, I cried like a blubbering baby in my sister's arms when I walked in the door. You know how cute Mary Fish's hair is? Well, that's not it. I called on the way home, and DH says he'll still love me no matter what it looks like. And when people say, "Oh, it will grow in! ", that is no consolation....my hair grows VERY SLOWLY. Really. I thought I was going to throw up it was so bad. So anyway, I have rewashed it, tried to push it around on my head, but there's just not much there to work with. So you won't be seeing any photos of me in the near future. My only consolation is that I won't need to spend any money on haircuts for, oh, the next six months at least! And I know God loves me for what I look like on the inside, not the outside! Have a good Saturday! The tote opens up and holds cards and envelopes in a clear box that has been cut in half. The note cards and tote both use retired Paris in the Spring DP and a monogram using Justrite's Special Occasions font in Perfect Plum. The image on the front is from Say it with Scallops in Pink Pirouette. My cardstock choices are So Saffron, Very Vanilla, Perfect Plum and Whisper White. The front DP panel was stamped with the swirl from Baroque Motifs and the envelope was stamped with the flourish from Friends 24-7, which I just received and LOVE! I can't wait to play with it some more! Here's a side view of the tote itself. I think if you click on it, it will enlarge! I also used a MS border punch, SU's Scallop circle & square punches, 1 1/4" circle punch, Designer label punch, gingham ribbon and twill from Taylored Expressions, along with a bridal flower RAK (thanks, Denise) that I daubered and some bling. The closure has a couple of little magnets to hold it together. It was a fun project, and I also will be including a pen and a pack of stamps so the recipient can sit down and write her thank-you notes and mail them out promptly!!! Thanks for visiting today! Nothing really spectacular; I used the Scallop Square punch to make an embellishment for my little birds from the "Love You Much" stamp set. I colored the birdies with a blender pen & ink, then punched them out with an extra large oval punch. The heart was punched with the heart punch; the sentiment is from Pocket Silhouettes, and was punched out with the small oval punch. I added some white gel pen dots (I need some work on making dots!) here and there, and it was done! I think I need to color in their beaks though...missed that! Thanks for visiting! I have gotten this beautiful award from three of my blogging/stamping friends, so I thought I should probably pass it along! It came from Lisa, Kim and Dahlene! Thanks so much girls! Here are the details about passing it along! Mercy at Lord Have Mercy! 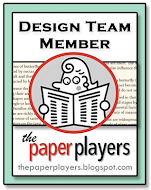 There are some really creative stampers out there, so be sure to check out their blogs! Hopefully I'll be able to create something today myself! Yahoo, another week and another challenge! Isn't that banner just the cutest? So many possibilities for this color combo! I am sure that my DH the sailor would point out all the faults of this little boat! Oh well! I used the base of the sailboat from Nursery Necessities, and cut the sails freehand, using the basic shape of the stamp's sails. Before I adhered them to some cardstock for stability, I stitched around the edges with some floss. The "ocean" is two layers of Brocade Blue, CB'd with Swiss Dots. I found some retired SU star eyelets and added one to the flag on the mast. I probably could have added some more embellishments, but I didn't want to make it too busy! Thanks for visiting and hope you can play along with us! Just a few quick cards today. Hopefully the weather will force me to stay home tomorrow and I can play in my stamp room! This looks much better IRL! The shimmery white paper just doesn't "shimmer" in the photo! I also needed a VERY quick sympathy card for a customer who is dealing with lots of elderly family issues! This is a sweet card from Beth. She always does beautiful work, and look, she used Little Shapes, too! Cute sentiment and her little hearts are all punched and attached with a cute little heart brad! This beauty is from Debbie--she has been hiding her talent from me! I think this is the first card I have ever received from her and how sweet this is! She has lots of details and the nice spring colors really brought a smile to my face! Thanks to both of you! Don't forget, tomorrow is Color Throwdown day, so be sure to check back to see what the challenge is!! I NEVER use Pacific Point; I love blue, but this one is just too difficult to pair with another color, so I decided to try it with just the black & white. I am not real crazy about the three flowers on the right.....but at this point I was not going to redo! I stamped the Polka Dot Punches flowers in Stazon black & watercolored them with some PP ink, them punched them out. The sentiment is from Crazy for Cupcakes. Cosmo Glitter added some zing to the centers. The black ribbon makes the "stem". I hope this is the only place in my house that my flowers have black stems!!! I think this would be easy enough to do at a workshop, so I'll keep the basic layout and play around with it some more! TFL! Pretty self-explanatory; the image was stamped on watercolor paper and I colored it with my aquapainter and various inks. I realize now (what is wrong with me lately?!) that I took some artistic license and moved the right center panel down to the lower right! Just seemed to look better there....maybe I'll do another one the "correct" way. Sorry, Mojo sketch!! The sentiment is from Fresh Cuts and is mounted in a Vanilla HPH frame, embellished with a couple branch punches from my MS punch. There is a ribbon at the top of the black panel, it's hard to see! Well, I guess most of my cards are for friends, huh? Well, sometimes they're for family, but today, these are for friends! My first card was supposed to be for the NMBS challenge, but I was in a hurry and didn't read the rules properly, so it's a no-go! But I still love it, so I am posting it anyway. We were supposed to use black, white and one color; and use ribbon in any way but tying a bow! Ooops! This is for our friend who very graciously bought us delicious crabcakes from Woody's Crab House in Northeast, Md, and had dinner with us for our anniversary! She just lost her mom and her dad is in the hospital, but yet, she still thinks of everyone but herself! So this is for her! And this is for a dear friend who just shared a difficult testimony today at church. The inside reads: "Rejoice in the Lord always. I will say it again: Rejoice!" This card uses the sketch from Our Creative Corner. I am pretty sure I got this one right! I really stretched myself using BOWS on both of these cards!! LOL! Thanks for visiting today! This has been a busy week, so I don't have a lot to share with you, just a couple simple things for some friends going through some difficult times. I think that is why I started making cards, because I always liked to send an encouraging note to someone when they were down! This is for a friend whose best friend just passed away. It features a shell from a retired SU set, Beautiful Beach, and Everyday Blessings from PTI. She is a very non-fussy, non-frilly girl, so this is my subdued card for her. 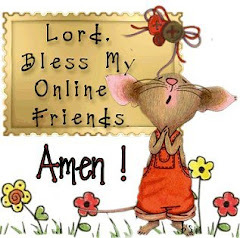 This is for another friend who needs some surgery! The image was a RAK from my friend Jen which I colored and then mounted on some BG Lily Kate paper that had been stamped with a flower image from Petal Prints, again retired SU. Still playing with Raspberry Tart, and I always go back to this layout when I want to highlight several different patterns! It is a quick, easy card to make, too, when you use punches for your squares. I had to use a Nestability for the circles, but I did use the tool kit punch for my row of "dots" along the left edge! Thanks for visiting! Hopefully I can play some challenges this weekend--right now I am gonna take a nap!!! I got some new toys today, some punches and DP, so I decided to play. I had my DP cut to the proportions shown here, then decided to punch the edges with my MS eyelet punch. It went downhill from there! That messed up my proportions, but I didn't want to waste the paper, so I went with it anyway! I was rather surprised at how "bright" the SU Raspberry Tart DP is---it is more of an unripe strawberry color to me--but again, I went with it! I wanted to use the new Sellabration set, Polka Dot Punches, but they were too big to put three flowers on, so I only used two! I punched them with my new 5-petal flower punch, but trimmed them down and mounted them on some solid cardstock and added some leaves with the same punch. Talk about creative license! I hope it's all okay! I will need to get used to this paper--it is bold, to say the least! Funny how a different photo gives a different perspective! And make sure to check out this week's Featured Stamper- you can see her card here. Who knows...next week, you could be our next Featured Stamper! It's a busy month in the accounting world, so if I don't post every day, don't panic! I am around, just wearing a different hat! Have a great day! Wow, I am so happy today---it finally is snowing here in southeastern PA! Just a light snow, but I have nowhere to go, a nice cup of chai tea with a plunk of nofat French Vanilla creamer and I am a happy stamper! This uses the Sketch Challenge from Papercraft Planet for this past Saturday, as well as the SCS Color Challenge from Tuesday: Not Quite Navy, Baja Breeze & Kraft. Love it! I turned the sketch on its side to be able to use the sentiment from Flight of the Butterfly. This uses Urban Garden DP and textured Basic Gray cardstock as the base. Quick & easy! This will brighten up a snowy Monday afternoon! Thanks for visiting and come back again! This is called the "Pom Pom Organic Pillow Cover". I knew I had some pink pom poms around for a project I never did, so I stuck them on a card and added an embellishment and a sentiment and called it done! I only wish the end of my pom pom piece was a little neater/straighter. Might have to do some adjusting on that! But it was quick and that's what I needed today! I have nothing to post today as I will be away, but I do have a winner of my blog candy! "I broke my leg skating while my parents were packing to move us in to base housing in England trying to stay out of the way! Congrats on your 1 year Blogoversary!" Unfortunately, I don't have an email address for Karen, so Karen, if you're reading this, you're my winner! Please send me your information so you can receive your candy! Here is a quick post of some quick samples I made for my Open House. These are from either the Valentine Bundle set, or A Little Somethin' Hostess set. And here is my last simple one, not new, but it was pretty, so I added it in! Gotta run! If anyone wants recipes or details, email me! Have a great Friday and stay warm! There's a lovely challenge going on at the Flourishes blog called "Celebrating Home". The challenge is to make a card inspired by something in your home. You can read about it on their blog, here. My inspiration piece is a metal embossed container that carries me through many seasons of decorating. I used a CB folder and wiped my Sahara Sand pad over the inside and then embossed a piece of Naturals White cardstock and added an image from a new SU Hostess Set, A Little Somethin'. I love this color combo of Sahara Sand and Pirouette Pink--very calming. (I am in need of calm lately!). I inked the image in Sahara Sand, colored over the flowers with my Regal Rose markers, then "huffed" and stamped to get this pretty soft effect. A little Button Bouquet button and some taffeta & gingham ribbon finished it off. I am quite upset that SU is retiring this pink gingham ribbon; not only is it great for baby cards, but other cards, as you can see here! Pout, pout. Thanks for visiting today, hopefully I'll have some Open House samples tomorrow! This is week 25 of the Color Throwdown Challenge and to be honest, when I saw Tammy's color challenge, I got very nervous & panicky. I just could not see how I was going to combine these colors! Aren't these sentiments cute? I stamped this on the inside, using Going Gray as the color for the "background" shoe. This is going to be for a special friend who is having a birthday real soon!!! Each shoe is stamped on SU DP and mounted on a piece of Baja Breeze that I ran through the Swiss Dots CB folder. I added a little rhinestone to each shoe, I wish they were clearer in the picture, they're so fun! I added the black accents for a little "sophistication"!!! And make sure you check out the Featured Stamper from last week's Challenge--it'll "crack" you up!!! 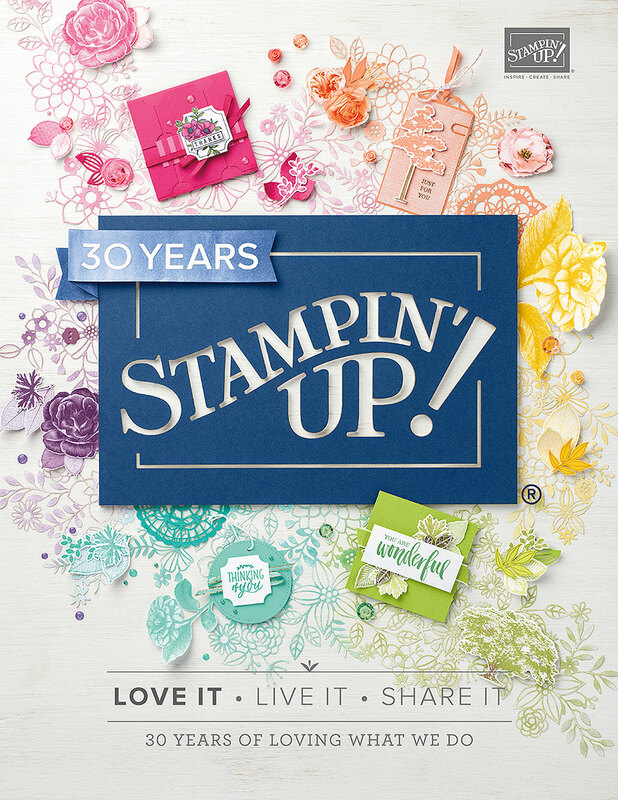 And who knows...you could be our next Featured Stamper!